go 1v1 to goal. put them in pinnies right away and they will wear them all the way into the lightning game. 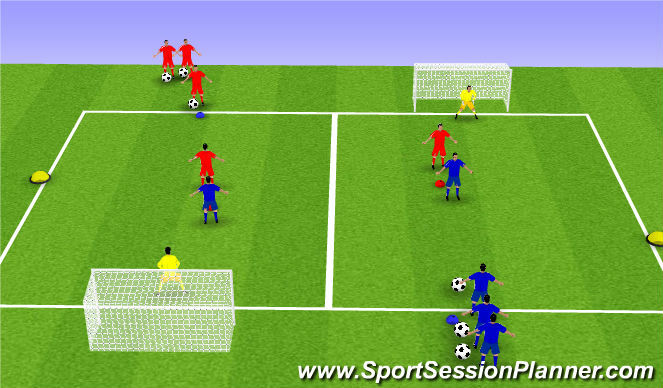 defender keeps defending until round is over goalkeepers keep goalkeeping until round is over. go for 2 minutes, see how many goals can be scored by either team. next teammate attacks when defender wins it, goal is scored, or ball is dribbled out. 2 attackers and 1 defender. you can use cones in a triangular shape to help dictate the scenario for them. 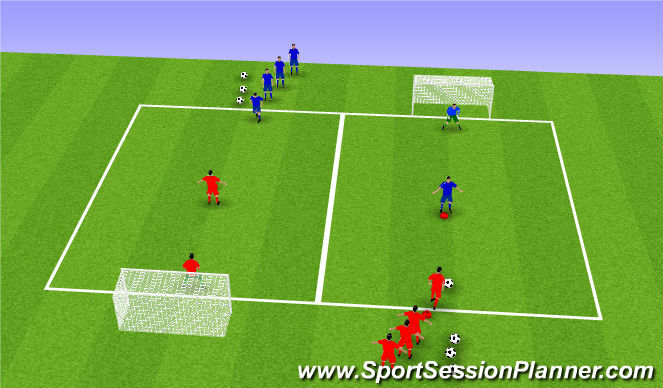 it could be helpful for you to keep the same attacker and defender and rotate the passing players only.